On September 20, 2011, in the 20th anniversary of Armenian Independence Day, was marked the highly anticipated opening of Matenadaran’s new scientific research building. Previously, all of the Matenadaran’s departments: exhibition hall, reading hall, and manuscript depositories, were located within the mere 3,300 square meters of Matenadaran’s original building; here were also working scientific research departments and groups. The space was not enough to demonstrate the new achievements of the Matenadaran; the need for a new building was a pressing one. Plans for a new scientific research center for the Matenadaran, originally set in 1987-1988, had been interrupted by a highly destructive earthquake. In 2009, the building of center resumed, and in two years, the complex was complete. Financial resources for the building efforts were provided by philanthropists including the head of the Russian “Monarch” construction company’s Board of Directors Sergey Hambardzumyan, the Executive Director of the Copper and Molybdenum Combine Maxim Hakobyan, as well as Gabriel Jemb erjian, Makar Nahapetyan, and Samuel Yerjanikyan. Architect Arthur Meschyan designed new structure to be about four times larger (12,000 square meters) than the original building. Meschyan’s design fully accommodates the needs of both a present day museum and archive depository. The building includes perfect conditions for the research fellows: separate laboratories; modern advanced technologies and service for digitizing manuscripts. Visitors and workers alike may use the technologies based on the scientific research complex to browse manuscripts and familiarize t hemselves with the works of the Matenadaran. The first floor of the complex includes the library. 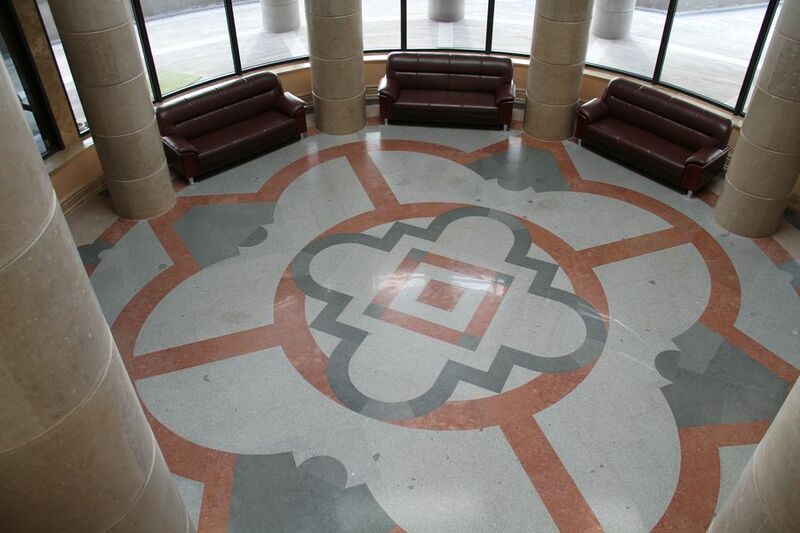 The second floor holds the manuscript repository (with a separate reading hall), the Department of Restoration, the work offices of the miniaturists and the Department of Computer Systems. 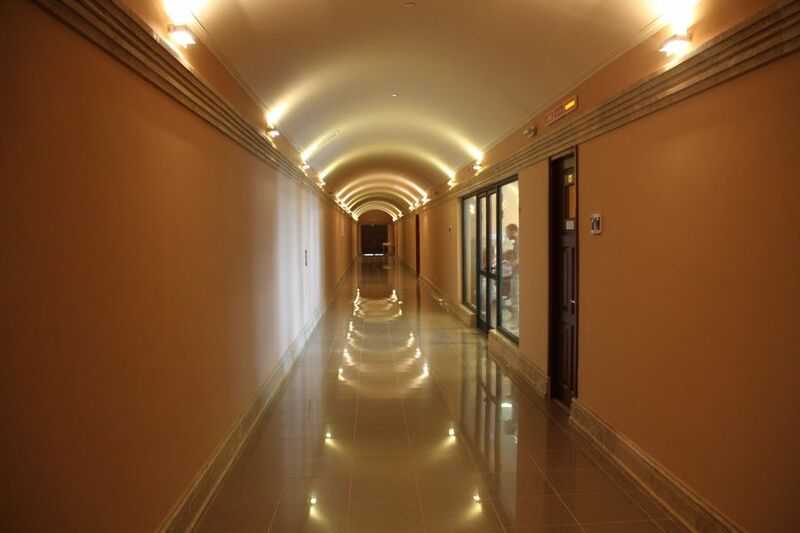 The third floor holds a grand auditorium which accommodates more than 200 persons. The auditorium is equipped with a video system and small cabins for simultaneous translation. The third floor also houses the archive, the Administrative Management Department, and the section of the building connecting the new complex to the original building of the Matenadaran. 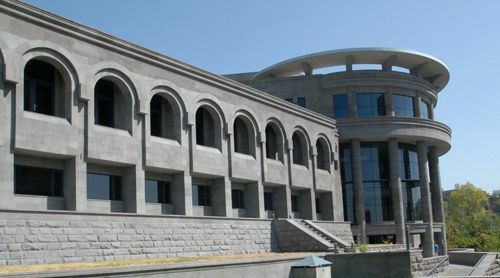 The Levon Khachikyan Reading Hall, named after the Matenadaran’s founder, is located on the fourth floor of the new building along with the Department of Digitization and Web Services and the exhibition hall for temporary exhibitions.